Welcome to Leaf and Grape’s first annual list for Top 10 Light Cigars. We decided to do take a different approach with our “Best Of” lists. Instead of publishing one over-all list, we have 3 separate categories based on strength. While we try to be as mathematical and scientific as we can, we realize that rating and ranking cigars is a very subjective thing. Ask 10 people to give you their Top-10 list and chances are you’ll get a totally unique list from each person. That being said and without further adieu, we are pleased to present you with our choices for the Top 10 Light (mild) Cigars of 2012. 10. Aging Room Havao Connecticut – Boutique Blends (a subsidiary of Oliveros Cigars) gets things started with this year’s list of Top-10 Light Cigars. The Havao features a gorgeous Ecuadorian Connecticut wrapper coupled with a Dominican Havana Criollo binder and filler. Smooth and creamy flavors abound in this cigar, making it a great “first smoke of the day.” We found this cigar to produce a perfect draw, razor-sharp burn, and gorgeous white ash that refused to fall off. 9. CLE Cuarenta – Since his departure from Camacho, Christian Eiroa has been hard at work redefining himself in the cigar industry. 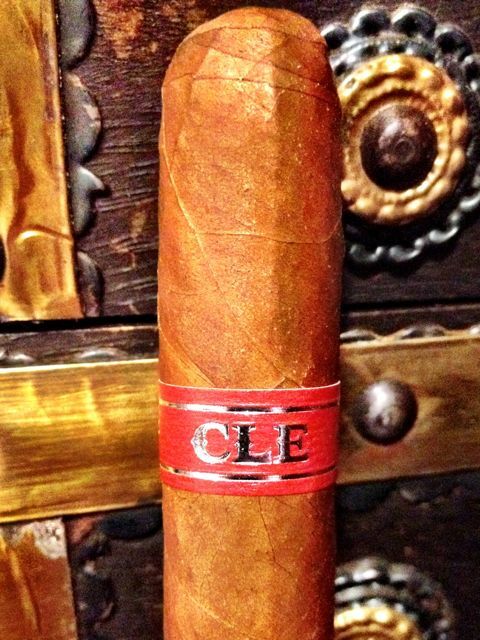 The result was a new company with three new cigar lines under the CLE umbrella. All three lines (Connecticut, Cuarenta and Corojo) are top-quality smokes. But it was the Cuarenta (Spanish for the number 40) that caught our attention. This mild-to-medium Honduran puro comes with a Habano wrapper and unknown binder/filler. Flavors produced by Cuarenta were predominantly woodsy floral notes mixed in with a unique blend of spice and earth. Those of you looking for a totally unique smoking experience should definitely give the CLE Cuarenta a try. We were pleasantly surprised – and think you will be as well. 8. Foundry Wells - General Cigar’s newest family-member happens to be the brain-child of La Gloria Cubana front man, Michael Giannini. Foundry is composed of five unique proprietary tobaccos from four different countries – each have been aged between three and six years. 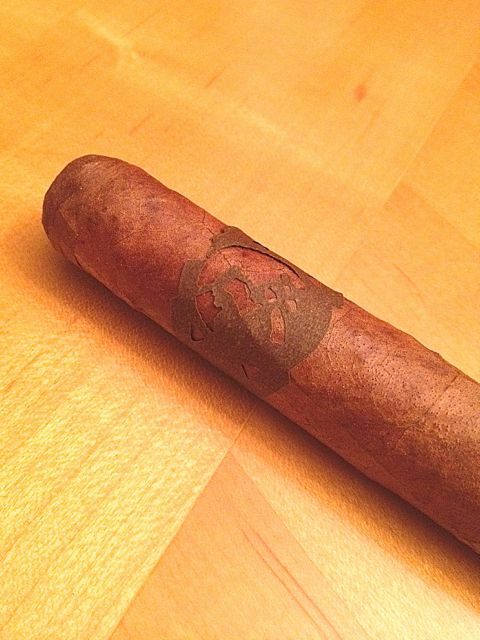 However, the back-bone of this cigar happens to be its 8 year aged proprietary wrapper known simply as H-47 Pleno Sol. 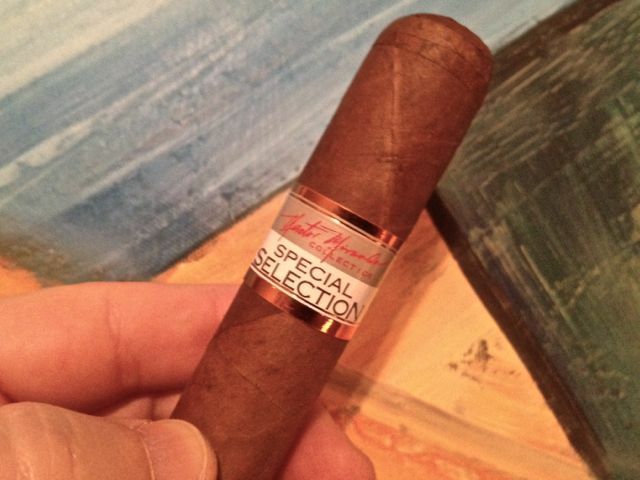 Sweet floral notes abound in this cigar – coupled with natural flavors of citrus and grass. Yes, that IS a metal gear on the cigar band. You see, Foundry’s theme is based on the steampunk movement – reminiscent of the H.G. Wells hit novel, Time Machine. 7. Nestor Miranda Special Selection Connecticut – If you’re familiar with Miami Cigar Company, you probably have either heard of or tried their Special Selection line. The two predecessors to this cigar are the Oscuro and Habano Rosado wrapper versions. Now we have the Connecticut to complete the line. Meant to be a morning smoke, this truly is a “coffee break” type cigar. The Ecuadorian Connecticut wrapper is complimented nicely by a Nicaraguan binder and Honduran/Nicaraguan fillers. This new Nestor SS produces a creamy array of sweet tobacco flavors mixed nicely with just the right amount of earth and spice. 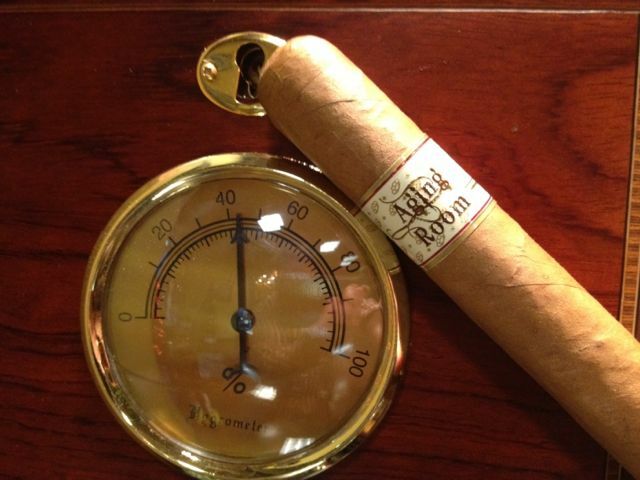 We have truly enjoyed lighting this cigar up on more than a few dozen occasions. 6. Emilio AF Suave – Since bursting on to the scene a few years ago with his own line of cigars, Gary Griffith has been taking the industry by storm. From the early days of the AF-1, AF-2 and La Musa (aka Grimalkin) – Gary’s creations have been a big hit with enthusiasts all over the country. 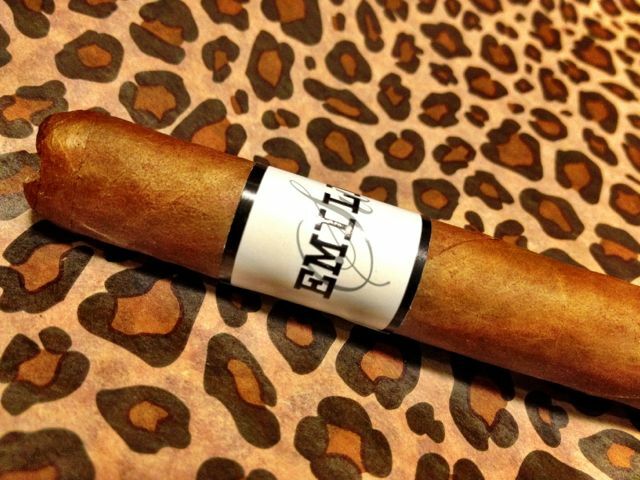 This year marked a new twist in Emilio offerings – an all-new Ecuadorian Connecticut shade cigar. AF Suave gets its name in part from the cigar’s manufacturer, where “AF” stands for A.J. Fernandez. When asked about the rest of this cigar’s construction, Griffith choses to keep some things a secret – so binder/filler are unknown at this time. But one thing is for certain, “Suave” definitely lives up to its name. This cigar is silky smooth, yet containing enough complexity and spice to keep more seasoned palates interested. We found the predominant flavors in this cigar to be cafe-cream blended nicely with exotic spice and a subtle honey sweetness. 5. La Gloria Cubana Trunk Show 2012 Liga LR-1 – One thing was clear at this year’s annual IPCPR trade show, General Cigar was focused on bringing small batch (boutique) style cigars to the forefront of their offerings. This particular limted vitola comes in boxes of 26 cigars, with only 500 boxes being produced. (13,000 cigars total) LR-1 comes in a gorgeous reddish-brown Habano Connecticut wrapper with a Nicaraguan double-binder and Nicaraguan fillers. 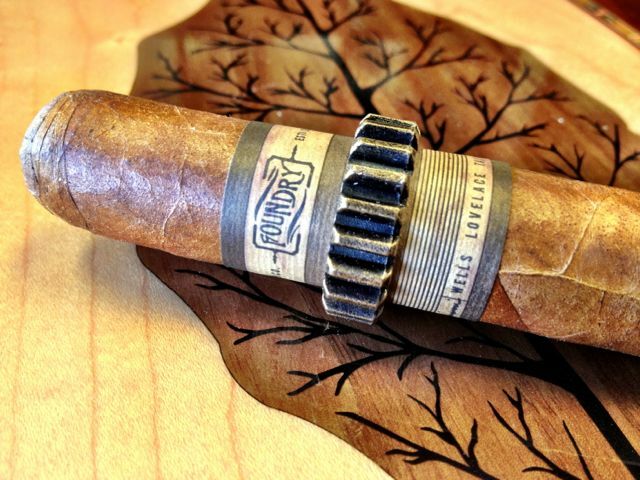 You’ll notice the wrapper is also made of tobacco, making it a truly smokeable band. Predominant flavors in the LR-1 are creamy notes of vanilla, earth and spice. The large 7×52 vitola is a real treat, offering a number of subtle nuances sure to keep you interested throughout the duration of the smoke. 4. 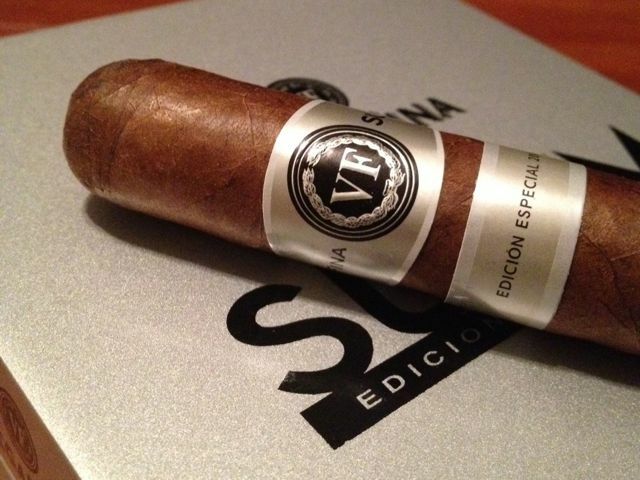 VegaFina Sumum Edicion Especial 2010 – The name VegaFina is typically associated more with European markets than the US. 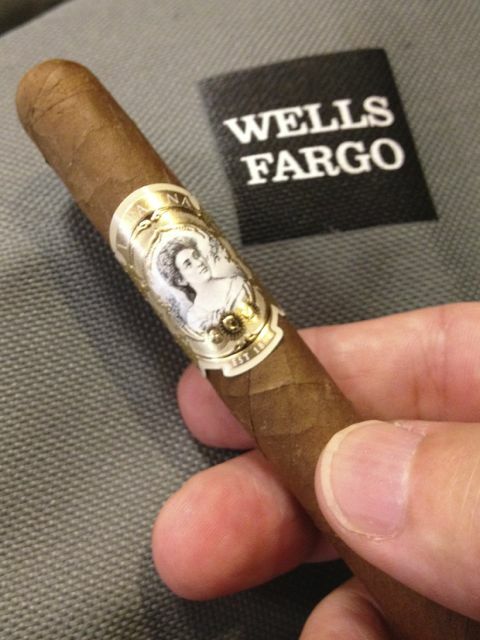 However, Altadis has been making José Seijas’ cigars available to brick and mortar shops all across the country. One of our big surprises this year was VegaFina’s Sumum Edicion Especial 2010, a fantastic little cigar that comes wrapped in a deep reddish-brown Ecuadorean Habano leaf. The binder is Connecticut Broadleaf with fillers comprised of Dominican, Nicaraguan and Peruvian tobaccos. This cigars comes in one vitola, a 5×54 robusto, and is packaged in 10-count boxes. Flavors we experienced were a potpourri of cinnamon, cedar and earth with a hint of honey. From an aesthetic perspective, the Sumum burned flawlessly, consistently producing a gorgeous white ash each and every time. Whatever your past experiences have been with other VegaFina cigars, be sure to get your hands on the Sumum 2010. This is one smoke you do not want to miss out on. 2. 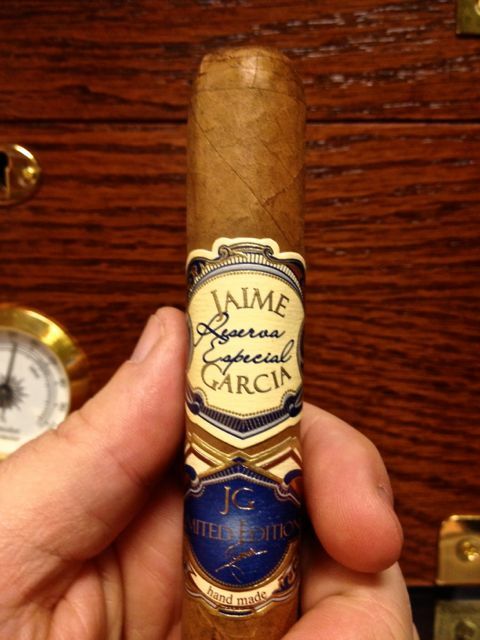 Jaime Garcia Reserva Especial Limited Edition 2012 - When the words Pepin, Garcia and My Father are mentioned, usually the first thing that comes to one’s mind is that signature blast of pepper and spice. However, in 2012 My Father kept us on our toes by switching directions and focusing on a number of Ecuadorian Connecticut offerings. 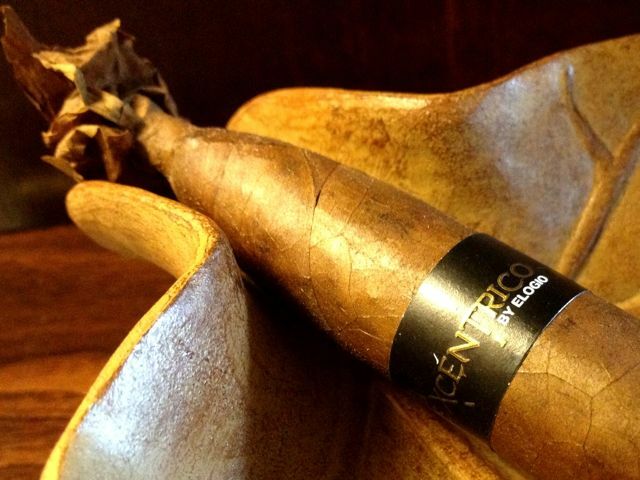 This cigar is offered in boxes of 16, with 15 of the sticks being Connecticut-shade and the final stick being maduro. (the direct opposite from last year’s Reserva Especial LE 2011 where 15 of the cigars were the maduro) One of the pleasant surprises with this particular cigar was the phenomenal roasted almond aroma it gave off as it burned. Primary flavors we picked up were vanilla, cream, cinnamon and nutmeg. These flavors coupled with the smell of roasted almonds provided one of the most enjoyable smoking experiences of the year! 1. La Palina Collection: Goldie Laguito No.2 – Anyone who has had the privilege of smoking this cigar should not be surprised by its ranking. Over the last 3-4 years, La Palina founder, Bill Paley has carved a niche in the cigar industry. Named after Paley’s grandmother (Goldie Drell Paley), this cigar is made in the traditional Cuban-style using Medio Tiempo tobacco. (also found in the Cuban Cohiba Behike BHK) Constructed of Dominican and Nicaraguan fillers and an Ecuadorean binder, the Goldie is wrapped in a stunning Ecuadorean Habano wrapper. This little 6×38 Petit Lancero is a true masterpiece in every sense of the word. Flawless construction, a triple cap with slight fan tail end are just a few of the highlights. Overall flavor profile weaves coffee, nuts and honey in amongst hints of nutmeg and earth. 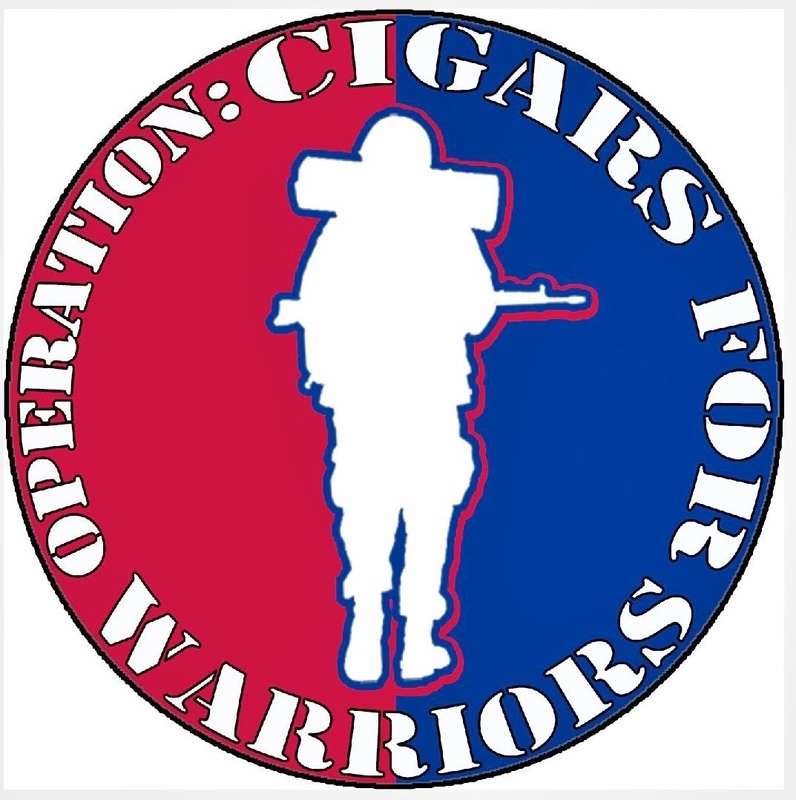 Quantities were limited to just 1,000 boxes of 10 cigars per box. If you happen to stumble across a box, buy it – you will not be sorry. This entry was posted in 2012 Top Cigars, Aging Room, Best Of, CLE, Elogio, Emilio, Foundry, Jaime Garcia, La Gloria Cubana, La Palina, Light, Miami Cigar, Mild, MyFather, Nestor Miranda, Vega Fina and tagged Aging Room, CLE, Elogio, Emilio, Foundry, Jaime Garcia, La Gloria Cubana, La Palina, Miami Cigar, MyFather, Nestor Miranda, Vega Fina by Stace Berkland. Bookmark the permalink.